The children will love our Girl Duck mascot attending their party. Girl Duck will appear for a 30 minute slot during your party time. The children will have a chance to interact with Girl Duck and plenty of photo opportunities will be made available for all. 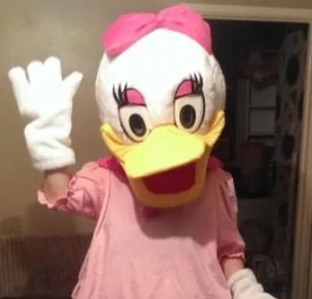 We are sure that girl Duck will make a great addition to any party and will leave you and your guests with many years of fond memories of this day.